Justin Trudeau spent a windfall on billions in tax breaks for Canadian businesses. Their response is that he still has work to do. 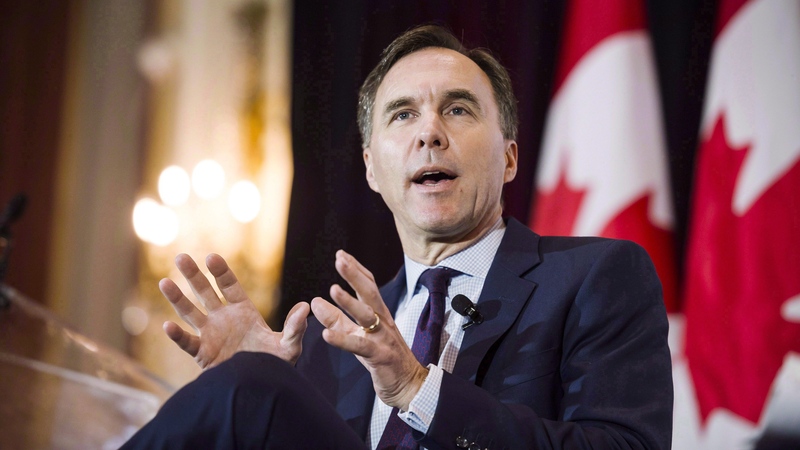 Finance Minister Bill Morneau unveiled a fiscal update Wednesday in Ottawa with $14 billion in temporary write-offs for capital investment, a pledge to slash red tape, some direct cash for businesses and a push to boost export markets. 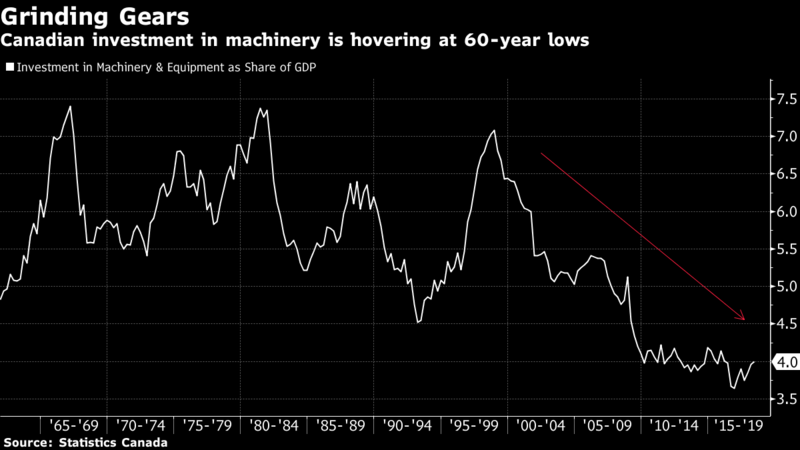 It was all meant as a bold response to warnings about Canada’s fading competitiveness, particularly after President Donald Trump cut U.S. corporate taxes. The mini-budget won acclaim from business groups -- they’re “pleased,” “encouraged” and “pleasantly surprised.” But they’re also not satisfied. Calls persist for the Liberal government to do more on tax reform, on streamlining regulations and on reining in the deficit. That’s not to mention doing something about an oil-price crisis in Alberta, where the fiscal update landed with a thud ahead of a visit Thursday by Trudeau. Generally, business reaction will be “at least moderately positive,” Perrin Beatty, president of the Canadian Chamber of Commerce, said in an interview Wednesday. “They didn’t go all the way in terms of accelerated write-offs for capital investment, but they went much of the way.” He nonetheless called for more to be done. The tax breaks for investment were the centerpiece of a document that otherwise showed both rising revenues and deficits. Investments in some sectors, such as manufacturing, can now be written off entirely, while all sectors saw at least some increase. On average, the measures will reduce the marginal tax rate on new investment to 13.8 per cent, from 17 per cent currently, keeping an advantage over a U.S. rate of 18.7 per cent, according to government calculations. Brad Smith, chair of the Mainland Nova Scotia Building Construction Trades Council, joins BNN Bloomberg and a special panel of guests for his take how the federal fall economic update affects Atlantic Canada. Morneau called the tax breaks good for everyone, including Alberta’s oil industry. The fiscal update showed government revenues exceeded expectations, but new spending and the tax breaks ate that up entirely. The deficit rose and will total $83.5 billion over five years, up from the $78.3 billion projected over the same time frame in February’s budget. The deficit for the 2018-19 fiscal is actually projected to be below what was forecast, at $18.1 billion. However, each of the four following years are now seen having bigger shortfalls. Canada’s total debt is projected to rise to $765 billion by 2023-24, from $688 billion in 2018-19, while the ratio of debt to gross domestic product is forecast to fall. The business investment measures, along with tentative agreement on a new continental trade deal with the U.S. and Mexico, “could combine to meaningfully spark investment,” Bank of Montreal Chief Economist Doug Porter said in a research note. “Today’s announcement is a good first step in strengthening the business climate in Canada -- but we would encourage an even more forceful response in coming months to the multitude of competitive challenges now facing the economy,” Porter said. The temporary, targeted tax measures “should be at least marginally positive for business investment,” Brian DePratto, senior economist at Toronto-Dominion Bank, said in a research note. How do you feel about Canada’s economic outlook after Morneau’s fall update?